Everyone likes their lips to be baby pink and soft – it’s an appealing feature and an integral part of every woman’s beauty. However, most people are dealing with dark and damaged lips which don’t look nice at all. This is a result of a combination of environmental factors, caffeine, smoking and using low quality cosmetic products. 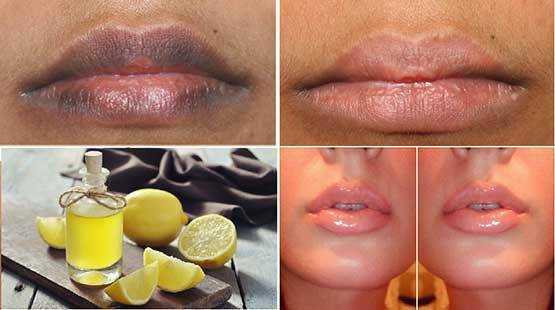 Squeeze a cup of lemon juice, then add some sugar in the cup and scrub your lips with the mixture to exfoliate and lighten your lips. You can also apply some lemon juice on your lips every night before going to bed to make them naturally pink and soft. Repeat the process 5-6 days in a row for best results.